tries to hail a cab. The flowers and baby didn't help. Back in the mid-1990s, filmmaker Michael Moore had a wonderful television series called TV Nation. In one segment, two men tried to hail a taxi on a New York City street. 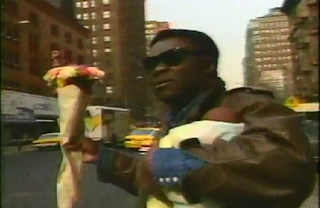 One, the person any driver would see first, was Yaphet Kotto, the distinguished Black actor. The other, farther down the block was Louis Bruno, a white convicted felon, recently out on parole. This story - and the fact that I don’t need to tell anyone who kept getting the cabs - comes to mind whenever I read about the extent to which child welfare practitioners and policymakers are “in denial” about racial bias in their own field. Martin Luther King Day seems an appropriate time to examine this denial and its consequences. Those not in the field might be surprised. A lot of people in child welfare, people with impeccable liberal credentials, people who have no problem understanding how bias might influence a police officer, refuse to believe that the same bias could influence a Child Protective Services caseworker exercising what are, in fact, police powers: going into a home and deciding whether to take away the children. Why are children of color taken from their homes at rates so much higher than their representation in the general population? It’s not race, the deniers say, it’s poverty. First, child protective services agencies are not supposed to take away children because the family is poor – though it happens all the time. (The great thing about pointing out racial bias in child welfare is that it makes defenders of the system so defensive that at least they’ll admit to the class bias.) Of course there are times when the stress of poverty contributes to actual maltreatment, but in most such cases that doesn’t mean it’s necessary to remove the children from the home. ● A study of decisions to “substantiate” allegations of maltreatment after they are reported found that caseworkers were more likely to substantiate allegations of neglect against Black and Latino families – and the only variable that could explain the discrepancy is race. ● A study of women whose newborns tested positive for cocaine found that the child was more than 72 percent more likely to be taken away, if the mother was Black. ● But perhaps most telling is what happens when caseworkers are given hypothetical situations and asked to evaluate the risk to the child. The scenarios are identical – except for the race of the family. Consistently, if the family is Black, the workers say the child is at greater risk. Citations for all of these studies are available here. Yet the denial persists. Case in point: Michael Petit, who founded a group called Every Child Matters with a lot of backing from liberal foundations. 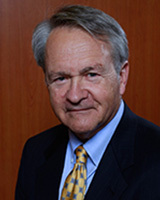 Petit has been among the foremost proponents of the take-the-child-and-run approach to child welfare. Much of the material ECM published, when Petit was leading it, was misleading. Petit once told a Congressional committee that, when it comes to preventing child abuse “the states that do the best overall are the ones that have smaller, whiter populations” [emphasis added]. During that same testimony, Petit perpetuated stereotypes about people of color and drug abuse. Partly as a result of that hearing, Petit managed to persuade Congress to establish a “Commission to Eliminate Child Abuse and Neglect Fatalities.” The Commission is finalizing its report and there will be much more about it on this blog soon. But for now I want to focus on a transcript of the December 3, 2015 Commission meeting. It reveals Petit still trying to minimize the role of racial bias. It also reveals a disturbing streak of arrogance. At one point, Petit says, that though she wasn’t doing it on purpose, another Commission member, Patricia Martin was “minimizing” and “downplaying” various “risk factors” that might contribute to the overrepresentation of people of color in child welfare. 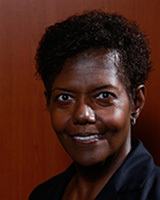 Patricia Martin is the Presiding Judge of the Child Protection Division of the Circuit Court of Cook County, (Metropolitan Chicago) Illinois, a job she has held for more than 15 years. She also has served as the President of the Board of Trustees of the National Council of Juvenile and Family Court Judges. Before becoming a judge she held several positions in the office of the Cook County Public Defender. She also is African-American. Petit ran the child welfare system in Maine in the 1980s and then worked for a trade association for public and private child welfare agencies. Many of the private agencies are paid for each day they keep a child in foster care. So, who is most likely to actually know about the risk factors in families that come to the attention of child protective services? Who is more likely to know about the role of racial bias? Who is most likely to know about the interplay of these factors? But Petit wasn’t done. He went on to offer up the equivalent of the “some of my best friends are…” defense. He questioned whether racial bias could be at play since, in some urban areas, much of the leadership and many caseworkers are African-American. And, of course, sadly, the world is filled with examples of intra-ethnic prejudice; in which people in the same racial, religious and ethnic group, hold prejudices against others in their own group. None of this means that people who work in child welfare are a bunch of racists – though occasionally one witnesses an example of behavior that should give anyone pause. Rather the research means that they are human, subject to the same prejudices as the rest of us. But child protective services workers have a lot more power than most of us – power to destroy a family with almost no checks and balances. That’s why it’s so urgent to guard against decisions based on prejudice – and why the persistence of the Myth of Child Welfare Exceptionalism is so alarming. When will we really know when there is little or no racial bias in child welfare? How about when Yaphet Kotto can hail a taxi?